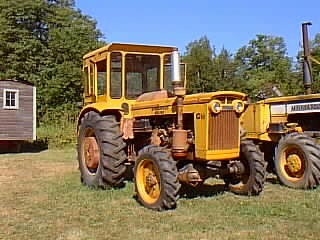 This 6-cylinder tractor was introduced in 1959, the largest and most powerful MM tractor at the time. It had an MM-built overhead-valve 425 CID engine. It was offered in Gasoline, LP and diesel versions.